Diabetes symptoms manifest themselves when your body is unable to produce enough insulin. 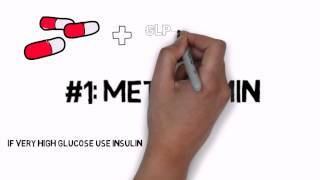 Insulin is a hormone that is responsible for controlling the level of blood sugar in the system. Diabetes type 1 mellitus occurs when the pancreas is not able to produce this hormone at all, and it is the less common type of diabetes. Type 1 diabetes is mainly found among children and teenagers, and is called juvenile diabetes in such cases. Today in the United States, more than 12,000 children are diagnosed and display symptoms of diabetes type 1 every year, and more than a million children currently have this disease. Diabetes type 1 is a chronic disease, and if your child has been diagnosed with it, you need to keep a close eye on his or her daily routines and activities in order to avoid complications in the future. It is an imperative to carefully monitor and watch for the usual symptoms of this illness. Diabetes is a disease that is caused by a loss of the body’s ability to create insulin. Under normal conditions, your digestive system begins to break down carbohydrates to form glucose. 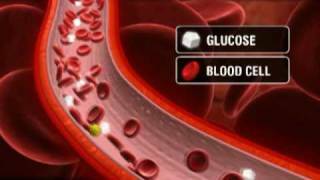 Glucose, which is the main source of energy for all body functions, is then absorbed and enters the bloodstream. This is why your blood sugar level rises after a meal. Once the high level of sugar is detected, your pancreas injects insulin into your bloodstream. This hormone is crucial in the process that allows the glucose to be used by all of our organs and muscles. Once glucose enters various organs, it is either used or stored as a source of energy for later. As the glucose disappears from your bloodstream, the blood sugar level decreases. After a few hours, your blood will reach a state with a low level of sugar and a slightly higher level of insulin, keeping things in equilibrium. 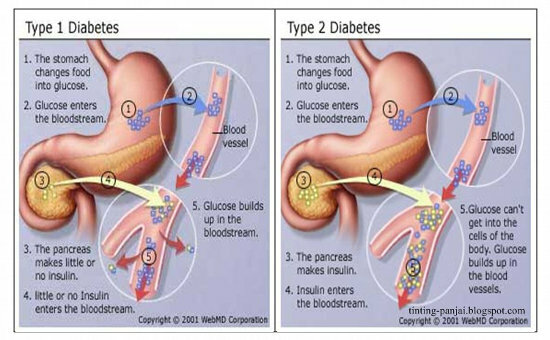 When a person is diagnosed with diabetes type 1, the pancreas stops producing insulin. In medical terms, diabetes type 1 is considered to be an autoimmune disorder. This means that the pancreatic cells responsible for producing insulin die slowly until there is no source of insulin in the body anymore. When this happens, the glucose broken down from the food remains in your bloodstream and cannot be absorbed by your cells. The consequence and the following symptoms are that the blood sugar levels continue to rise to very high levels – a condition in itself that is known as hyperglycemia. We are unable to use all that ‘sweet stuff” in the blood and we try to expel it in urine while trying to reach the balanced state again. Frequent urination is one of the earliest symptoms of diabetes mellitus type 1. As your blood glucose remains unused, you get an urge to urinate more often because your systems are trying to eliminate excess sugar. Your kidneys are meant to filter the sugar back into your blood stream but in this scenario there is too much of sugar to keep up. Kidneys instead start taking the water from your blood to try to dilute glucose by sending it out. With your kidneys using up more water, you will tend to feel thirsty more often than usual. Dehydration is a serious problem that can result from extreme thirst. In addition, you seem to be losing a lot of weight without any reason. This is because your body is not able to use the glucose in the blood as an energy source. Under such conditions, the body uses up the fat cells stored in your body turning to them as a final source of energy. Once again, as other symptoms of the loss of main source of energy, your body is not able to cope up with its energy requirements, leading you to feel weak most of the time. 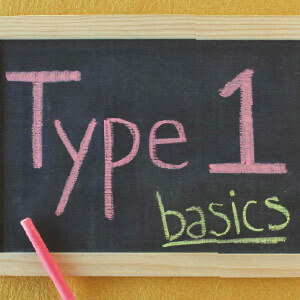 Diabetes type 1 is an incurable disease, and if you or loved ones is diagnosed with this illness, it is essential that the disease be kept under control by carefully monitoring patient's symptoms. This can be done by altering the person's diabetes diet plan and exercise schedules, and, most importantly, providing the patient with daily doses of insulin as per the doctor's recommendations.